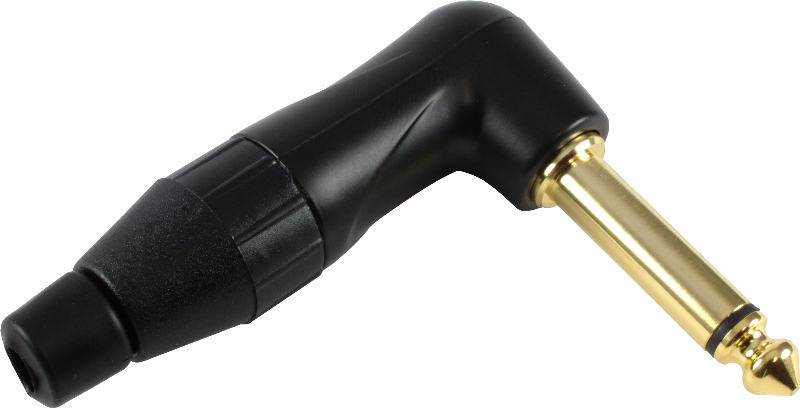 2-pole ¼" professional right-angle phone plug, gold contacts, black shell. Packaging Dimensions 2.425 in. x 2.082 in. x 0.625 in.